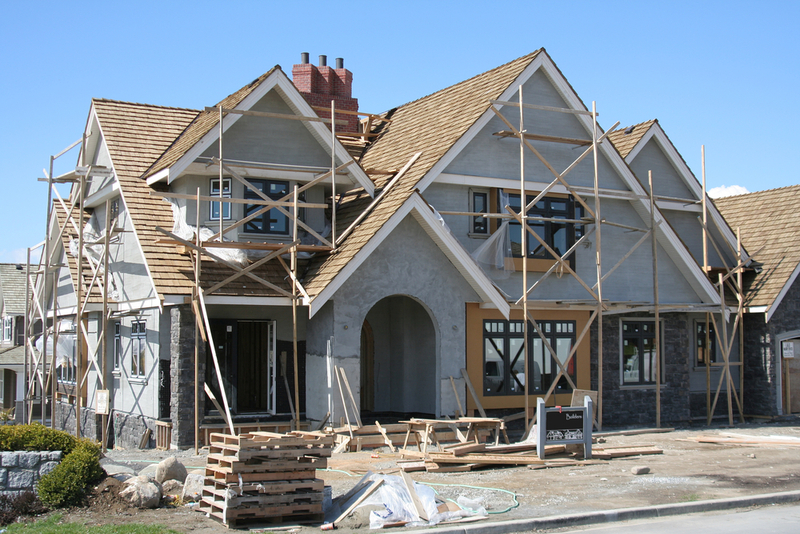 Heights Title Services, LLC > News > Articles > Buying A Newly Built Home? Do You Still Need Title Insurance? Claims on the title of the land the new home is built on may arise as a result of contractors who probably were not fully paid for building your new home. https://heightstitle.com/wp-content/uploads/2019/04/new-homw-title-insurance.jpgAgain, Title problems may arise with the newly constructed homes habitually involving legal ownership of the property on which the home has been constructed. Remember, it is possible for a third party to make a claim on the property because as much as you are buying a new home, the land the home is built on is not new. For instance, multiple family members may own a piece of land. If one of the members decides to sell the land without the consent of the other members, they can file a claim. In this case, if you were the first owner of a home built in such a land, you would be at more risk for title defect since the land had been originally bought. It is, therefore, critical for you to make sure that the land your new home is built on was properly subdivided to all the shareholders of the land. Ensure that your brand new home you have bought is located on the correctly identified lot within the subdivision before purchasing it so as to avoid ownership claims in days to come. The good thing with Title insurance is that it protects both buyers and lenders against any claims. In many cases, mortgage lenders require a buyer to purchase a lender’s policy more so when buying a new home. It is because of this case our Title Insurance Company recommends in investing in separate owner’s Title policy to guard you simply because the Lender’s policy does not protect you as a buyer. If you intend to buy a newly built home in the United States, you need Title Insurance. One of the main reasons is because it can help you defend against a lawsuit attacking the title or compensate the insured for the actual monetary loss experienced up to the amount of insurance that is provided by the policy. A Title Insurance for your newly purchased Home is the best deal you would ever get to avoid ownership claims in the future. This step will bring you endless happiness and mental comfort for you and your family in your new home. Our Insurance Company is always willing to protect you from any financial loss that is if you have a defect or a claim involving your Title. Click here to know all the information you need to know about building or buying a home. For any question or inquiry, do not hesitate to contact us.